Whether you are a corporate organisation, a charity or just a collection of like-minded individuals, we are here to help you make your visit as productive and profitable as possible. We pride ourselves on providing facilities that are both welcoming and value for money. We have free car parking for up to 25 vehicles on-site; an overflow car park is also available on request. Income earned from hosting conferences and meetings helps subsidise our Charity work. 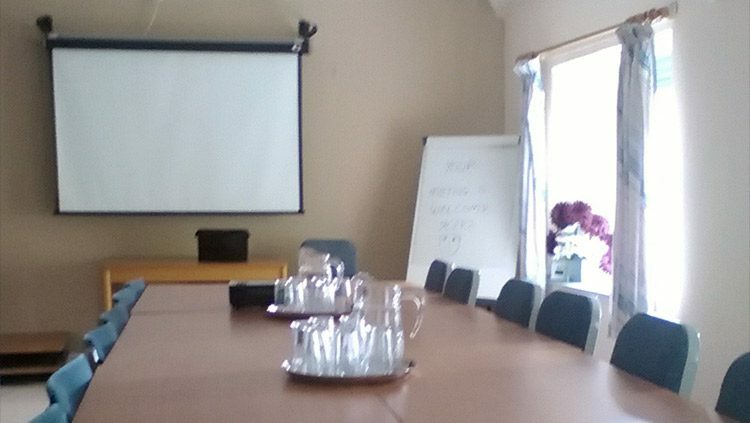 We have three conference rooms which can be used independently or as a whole according to the nature of your day. The business-like Uffcott Room which can be laid in boardroom or horseshoe style and comfortably accommodates 16 (maximum 20). A breakout room is available for a small group. 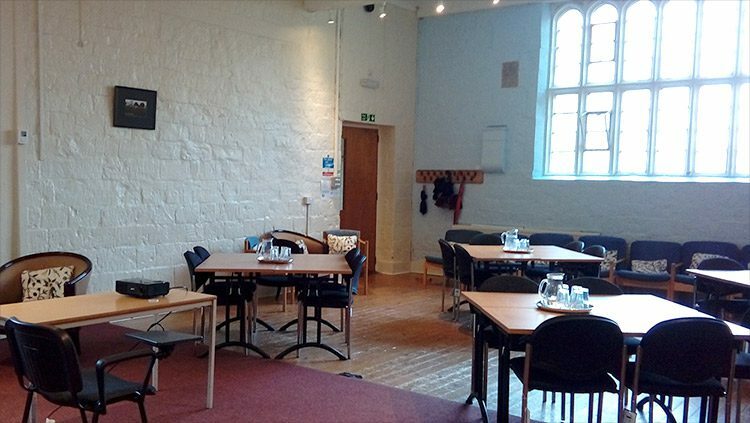 The multi-purpose Elcombe Room, which is the original school hall, accommodates up to 60, depending upon room layout; 45 being comfortable for most purposes. 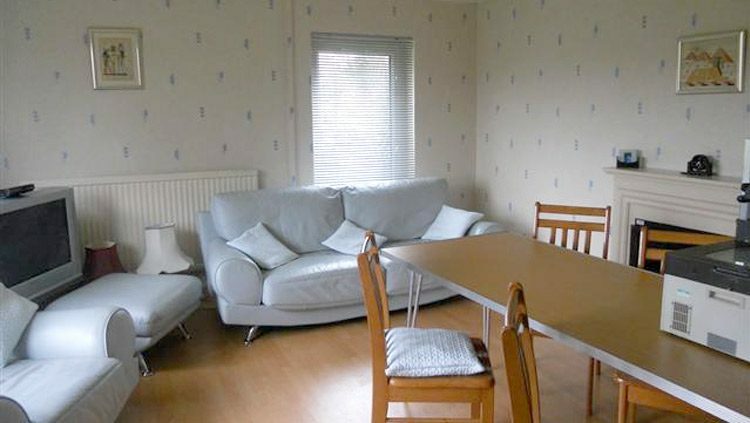 The homely Marlborough Suite comfortably accommodates groups of up to 10 people in a domestic style lounge with adjacent kitchen plus bedrooms as break out rooms. Please note: Both the Marlborough and Uffcott rooms are on the first floor and, at the present time, there is no lift access (sorry). There are various packages available, with or without catering provided – from a half day to a full day, to a full day plus evening too. Tea, coffee and cool drinks available throughout your visit. A substantial meal or buffet. Flip charts and paper can be provided for your group. Bring your video files and presentations. All three conference rooms have access to our relaxing grounds. Please note: Breakfast can be provided as an extra, upon request. Optional extras are available. *If you wish to request a Full 2019 Price List or you would like to enquire about our full range of packages, please do not hesitate to contact us. **Terms and Conditions apply.